And take your sheets with you. Drag them under. Make pretend ghosts. so keep still, keep quiet. Learn the lullabies of lint. Saeed Jones works as the editor of BuzzfeedLGBT. Saeed Jones is the author of the chapbook When the Only Light is Fire (2011, Sibling Rivalry Press). His work has appeared in Best Gay Stories 2013, Guernica, Ebony Magazine, The Rumpus, Hayden's Ferry Review and West Branch among other publications. 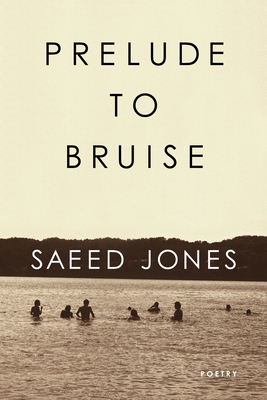 Jones received his MFA in Creative Writing at Rutgers University Newark and is the recipient of fellowships from Cave Canem and Queer / Arts / Mentors. He works as the editor of BuzzfeedLGBT and lives in Harlem.